While nearly everyone has heard of Charles Darwin’s Origin of Species, not everyone is aware of the beauty and breadth of Darwin’s works. In his own lifetime, Darwin was known as a voyager, geologist, species theorist and botanist. Darwin’s reputation as a scientist rested upon his observational skills and his theoretical vision. Yet no scientist works in isolation, and Darwin spent much of his time writing. Darwin engaged in lengthy correspondence with scientists around the world, requesting and receiving observations from others, and presenting his ideas in letters before advancing them more definitively in print. Darwin’s prodigious correspondence contributed greatly to his productivity as an author. Darwin was a tireless writer who penned an estimated 15,000 letters, authored more than 200 articles and published 22 printed volumes (not including his posthumously-published Autobiography). Most of the printed volumes went through multiple editions and translations. Few persons ever experience the opportunity to view first editions of Darwin’s printed volumes together at once. As you do so in this Darwin@the Library exhibit, we invite you to gain a renewed sense of the beauty of nature, the beauty of old books, and the breadth of Darwin’s contributions to natural science. Darwin wrote about a staggering number of topics in a wide variety of fields, drawing them together in a comprehensive vision of remarkable depth and originality. 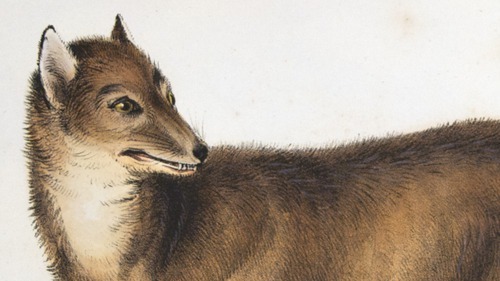 His books are beautiful examples of 19th-century natural science.